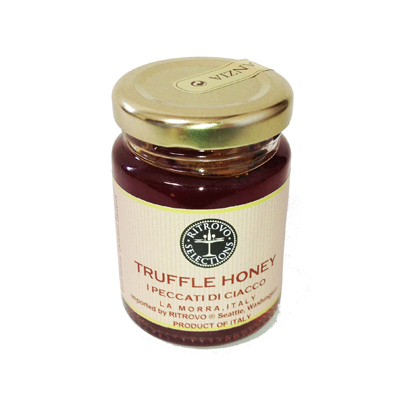 This dark wildflower honey is carefully and artfully infused with real truffles and truffle oil. Each jar contains truffle slices and unmatched potency. Drizzle on creamy blue cheese.